Jhon Córdoba is a player in demand these days. 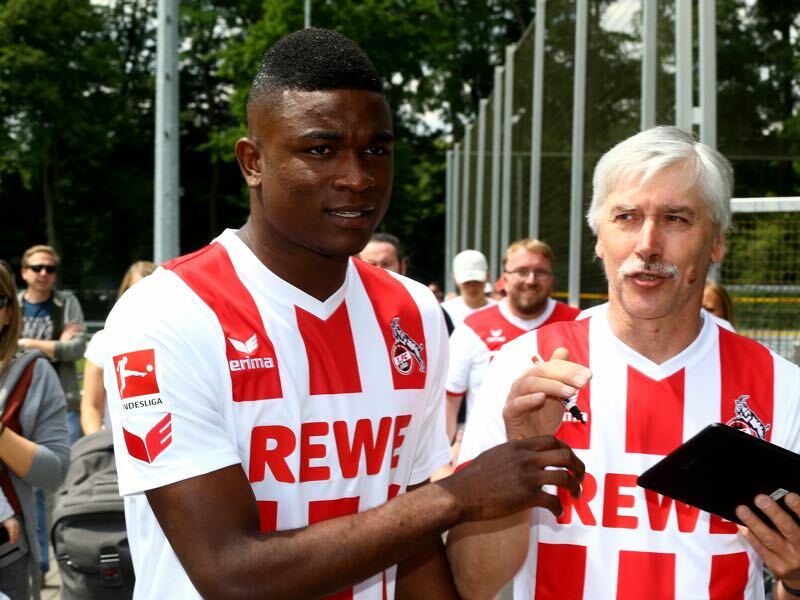 The Colombian striker was made 1.FC Köln’s record signing this summer after Anthony Modeste decided it was time to end his time in Germany and move to China. Brought in for €16 million from 1.FSV Mainz Córdoba broke Lukas Podolski’s transfer record. 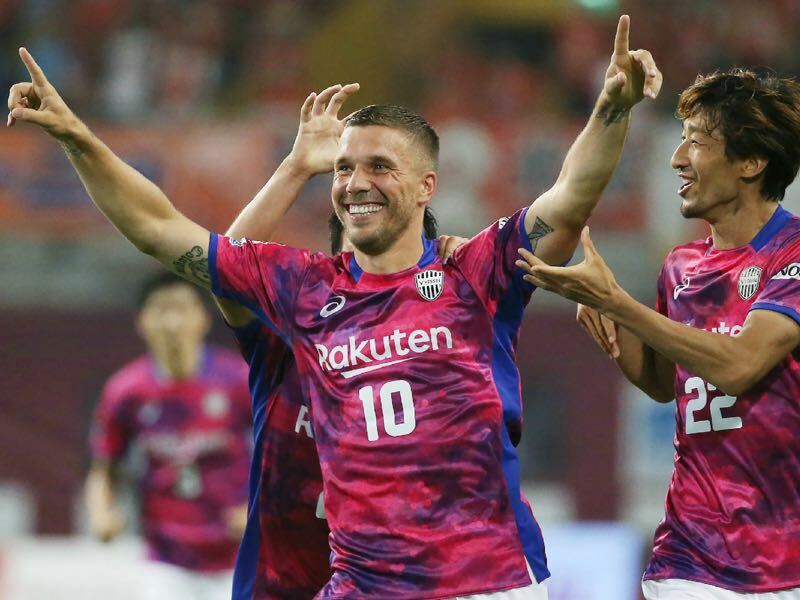 Podolski, who now plays in Japan for Vissel Kobe, was brought back from Bayern in 2010 for €10 million. Córdoba, in essence, is, therefore, stepping into the footsteps of a Köln legend in Lukas Podolski as well as Anthony Modeste and his 25-goals scored last season. Not a small task for a Colombian striker, who at just 24-years is still relatively young. Jhon Córdoba, however, knows how to live with expectations. Dubbed the next Didier Drogba by the Mexican press when he first emerged as a talent in Mexico. At 188cm and 85kg it is not difficult to see where that comparison comes from. Like Drogba, Córdoba is a robust and physical imposing striker. Furthermore, like Drogba Córdoba has the technical skills despite his strength of the ball. The problem, however, is that the Colombian forward has lacked the sort of strike rate necessary for a top class striker of Drogba’s level. In 29 Bundesliga games for Mainz, last season Córdoba scored just five goals and five assists. Those numbers on their own, in fact, makes it hard to imagine why Köln decided to shell €16 million on the striker. Looking back at Córdoba’s numbers it quickly becomes apparent that the striker has never scored more than six goals in a single season. His best performance was in 2012 when he scored six goals in 15 games for his Colombian boyhood club Envigado FC. When it comes to Córdoba, it is important to look beyond the numbers, however, and it is therefore important to take a quick look back into the player’s history. After rising through the youth ranks at Envigado, he was spotted by the Liga MX side Chiapas FC. In recent years Liga MX has quickly developed into the most competitive league in the Americas. One of the reasons for that is tactics. The Mexican league is perhaps the best competition in the world when it comes to build up play. At first glance Mexican football is pure free-flowing attacking football in which defending is only of secondary importance. In reality, however, Mexican football is extremely athletic, and players have to execute a fast build up correctly otherwise teams will be overwhelmed by the opposition. This means that all players have to 100% commit to the game plan otherwise sides will be overwhelmed by attacking numbers. It was in Mexico that Pep Guardiola would lay the foundation to his successful coaching career and it is Mexico that attracts talented players from all over South America to make their first step before hopefully heading to Europe. Córdoba was no different, and although he only scored twice for Chiapas during the 2012-13 full season, he still managed to attract interests from European sides. The reason for that was that Córdoba was the sort of striker who could create room and time for his teammates. What followed were stints at Español Barcelona and Granada CF. In Spain, Córdoba scored eight goals in 51 La Liga games. Again not impressive statistics, but he benefitted from the Spanish football school to improve his positional and tactical play. Next came a loan move to Mainz and although Córdoba only scored five goals in his first 22 games for the club former Mainz manager Christian Heidel made the move permanent. Heidel told the media in Germany, “We would be stupid if we wouldn’t retain him.” The €5.5 million transfer made Córdoba the most expensive transfer in Mainz history at the time and as it turned out a fantastic investment. Used primarily as a holding striker Córdoba made a big step in his development over the last season. Former Mainz head coach Martin Schmidt often operated with long balls centred on Córdoba, who would then hold up the ball to make room for the attacking players around him. As a result, his attacking numbers were once again not impressive, but he was one of Mainz’s most valuable players regardless. Hence, when Köln were looking for a replacement for Anthony Modeste they quickly identified Jhon Córdoba as the logical choice. Mainz’s sporting director Rouven Schröder knowing full well what sort of money Köln were banking from the Modeste transfer made full use of their excellent negotiation skills to earn Mainz €10.5 million on the deal. For Köln, the investment is first and foremost an investment in goals. There is no doubt about it that Köln’s head coach Peter Stöger will want more than just five goals from the Colombian striker next season. Speaking to the kicker in Germany Córdoba does not doubt that he will score more than five goals next season. Córdoba, in fact, would be used to Köln’s up-tempo high pressing game from playing in Liga MX. The difference, however, is that he will now no longer be considered a young attacking player, but the star signing who has to guarantee goals. It will most certainly be the next step in Córdoba’s development. 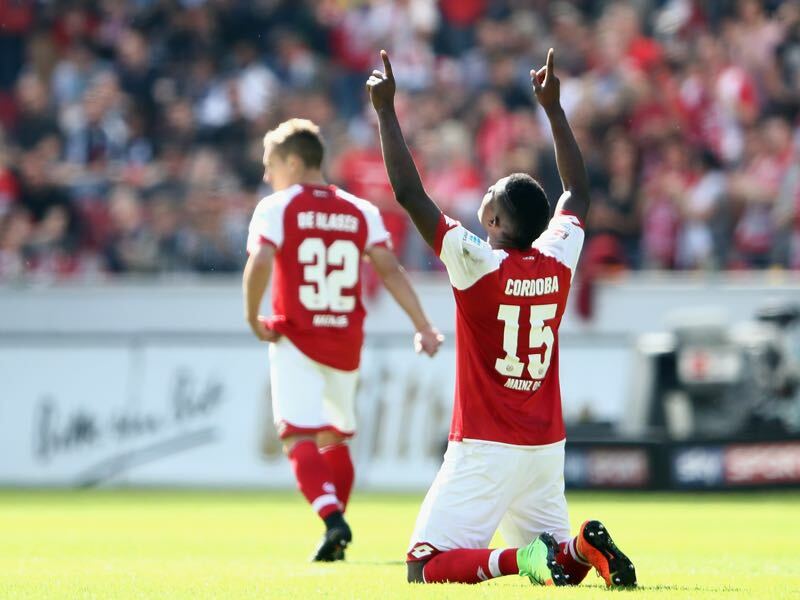 But Köln’s head coach Peter Stöger has shown in the past that he can form players into stars, and there is no doubt that Jhon Córdoba could fulfil the potential to become the new Didier Drogba.